Strain the oat yogurt for 1-2 hours through a coffee filter in the the fridge. Don’t forget to place a glass under the filter for the excess water. Add the rolled oats to a food processer and blend until the oats are ground into a flour. Whisk in the oat milk, a little at a time, and then add in the oil. Whisk until smooth. 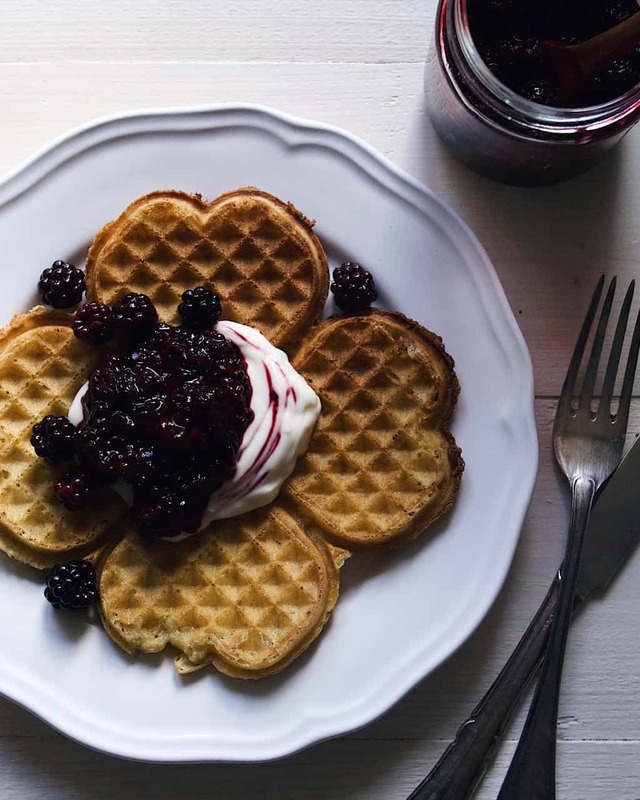 Heat up a waffle iron, brush with canola oil and cook the waffles until golden. Brush with oil in between each new batch. Enjoy right away, topped with strained oat yogurt and berries or jam.